Messe München stands for excellent event-related services. The Trade Fair Services Team and its partners offer a comprehensive portfolio for all our customers and their individual demands: fast, competent and on time—for a perfect trade fair experience. Our service partners: whatever you need—our more than 70 specialist companies are at your service to make your trade fair appearance a complete success. 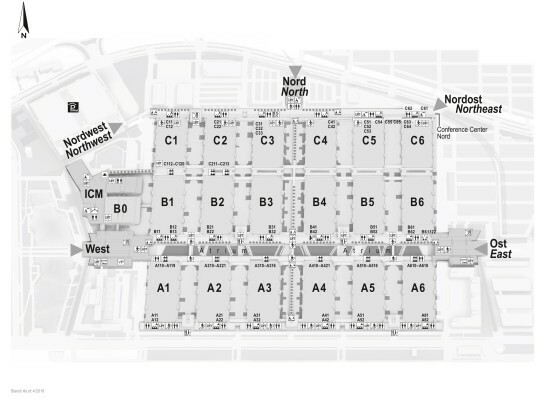 Services on site: from cafés to ATMs to information counters—discover all services available for visitors and exhibitors at the trade-fair center. FairLog is the new truck time-slot management of Messe München. For vehicles with an overall length of more than 8 meters, freight forwarders can book a time-slot for their deliveries and pickups at https://messe-muenchen.fairlogportal.com. 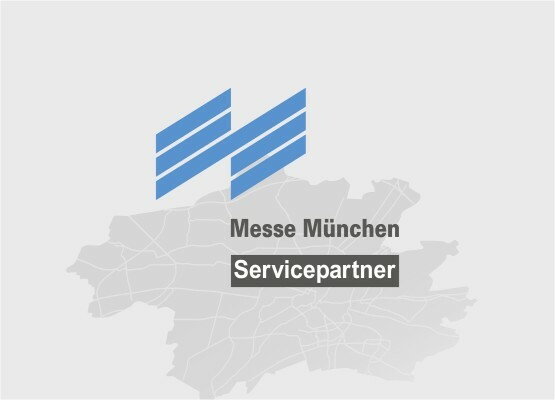 Since January 2019, Perfect Meeting GmbH has been strengthening the service network of Messe München. In addition to our well-known service partners TRADEFAIRS (DER Touristik Deutschland GmbH) and München Tourismus (Munich Tourism), Perfect Meeting GmbH provides support for exhibitors and visitors in finding hotel rooms during events held at the exhibition grounds and the MOC. If interested, please directly get in touch with Perfect Meeting GmbH. Virtual product presentations 4.0 with 3D, Augmented and Virtual Reality as well as Holodeck applications as an additional service for our exhibitors. Quality, friendliness, innovation—our caterers ensure the well-being of your guests. Labels and lettering, multimedia, furniture or carpeting—find the right service partner for your needs. The safety of your stand is very important to us. Our security staff will be happy to assist you with the implementation. First impressions count—our service partners keep your exhibition stand clean. Find here our service partner directory with TÜV SÜD certification—high customer satisfaction guaranteed. Exhibitors and visitors of our own events can use the Ticket Shop of Messe München to generate mobile tickets. This digital admission ticket in the form of a 2D barcode is simply transferred to mobile devices such as smartphone, tablet or smart watch. It enables all trade-fair attendees to pass through the access scanner and, within seconds, have an individual trade-fair admission ticket printed out directly at the turnstile. Mobile ticketing minimizes waiting times—registered participants carrying their e-ticket are identified as they pass through. Enjoy our extensive catering offer: a fresh coffee in the morning, a snack in between or a leisurely lunch away from the hustle and bustle of the fair. Our cafes and bistros, the restaurants or the beer garden in our beautiful Atrium between the halls invite you to relax between appointments and get pampered by our service partners with culinary delights.